After capturing our attention in 2013 with debut EP ‘Sober’, our one to watch Elli Ingram is back kicking off 2014 with a brand new music video to ‘When It Was Dark’. 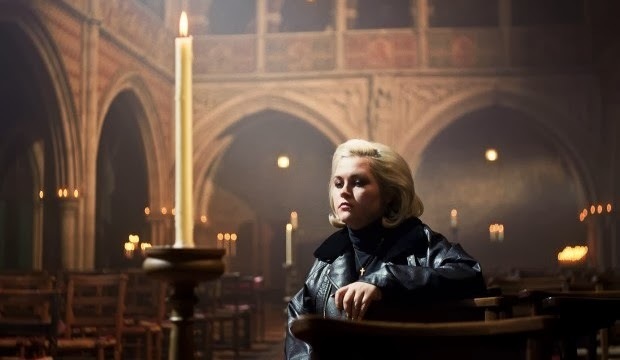 Set in a church ‘When It Was Dark’ was directed by Emil Nava and produced by her producer - Felix Joseph, who produced a few tracks off her EP including ‘Sober’, ‘Mad Love’ and ‘Poetic Justice (Refix)’ alongside Aston Rudi. ‘When It Was Dark’ is the first release from Ingram since her signing to Island Records, and we're definitely going to see more to come from the 19-year-old singer. Elli Ingram will be headlining her own shows this February, at the Bermuda Triangle in Brighton on Tuesday, 11 February (tickets here) and at The Old Queens Head in London on Wednesday, 12 February (tickets here).